Caroline & Michael’s big day is a wonderful example of a classic Chicago wedding, with a beautiful mix of modern and historical elements. Their ceremony was held at one of the most recognizable catholic churches in Chicago, Holy Name Cathedral. Amy & Mike were wonderfully laid back, and even a little goofy in front of the camera. Before their wedding later this year, they are spending large chunks of time apart (Mike is a chemist living in Canada, and Amy is a dance instructor here in Chicago). So it seemed like they were making the most of their time together. 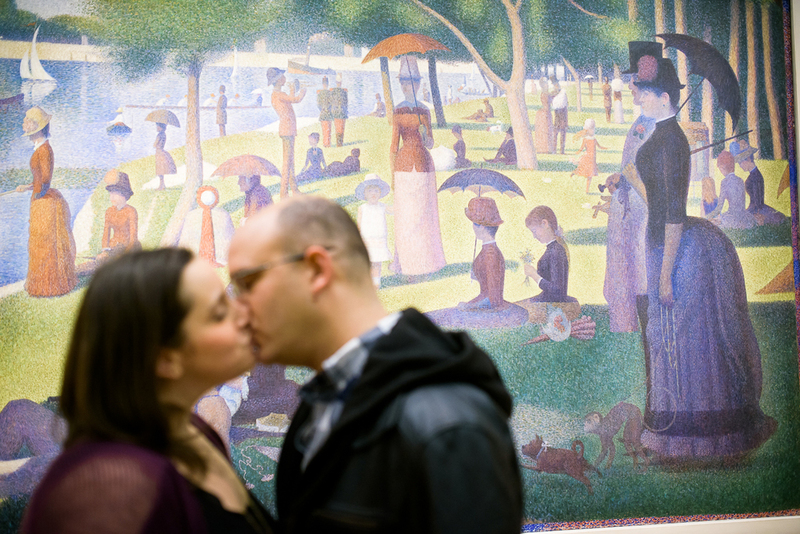 For their engagement session, Amy really wanted a classic Chicago feel. Claudia & Erik were a referral from, and I kid you not, a bride from the first year I photographed weddings. It was great to catch up with our mutual friend Jaclyn, and talk about how much has changed in 12 years. To give some perspective, I shot her wedding in 2002 on all 35mm film.